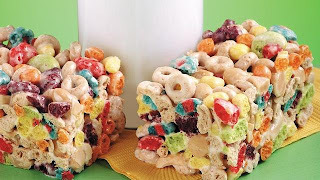 This recipe I found on Pillsbury.com and couldn't resist sharing it. 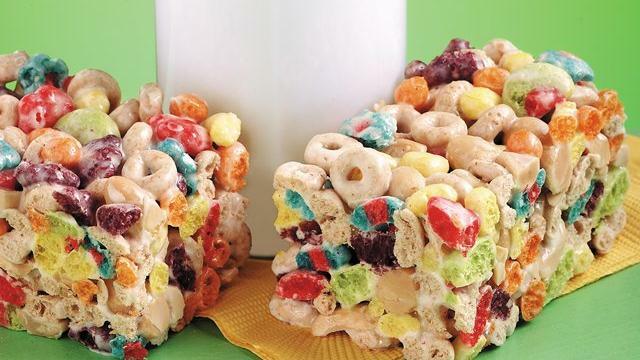 My little Gigi loves Cheerios, Trix and marshmallow's so this will be a hit in my house! This is a really cute idea for birthday party goodie bags as well but you may want to remove the peanut ingredient for allergy reasons.